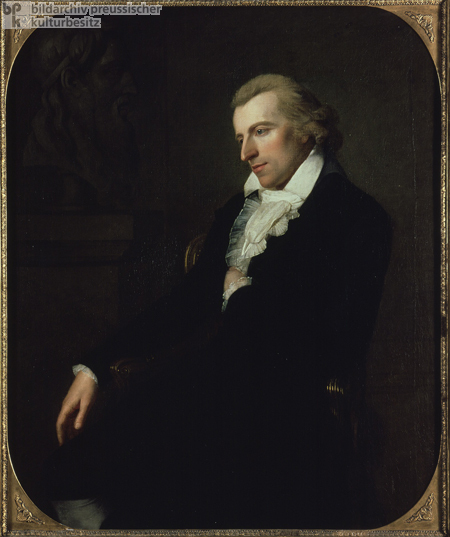 Together with Johann Wolfgang von Goethe (1749-1832), the German historian and writer Johann Christoph Friedrich Schiller (1759-1805), later ennobled as “von Schiller,” was the central figure in the intellectual and literary movement now known as “Weimar Classicism.” Schiller’s career as a dramatist began with Die Räuber [The Robbers ] in 1781. The themes of rebellion and anti-authoritarianism continued in Kabale und Liebe [Intrigue and Love], a critique of self-serving courtly society that premiered in 1784 and spread Schiller’s fame. His move to Weimar in 1787 was a turning point. The cultural and intellectual atmosphere of Weimar helped revive Schiller’s literary energies, which had been faltering on account of his poor health and professorial responsibilities. After settling in Weimar, he authored several major historiographical works, including The History of the Revolt of the United Netherlands (1788) and The History of the Thirty Years War (3 vols., 1790-92). He also began an important friendship with Goethe. The products of his final years include a series of ballads and the great dramas Wallenstein (1799) and Wilhelm Tell (1804). Oil on canvas by Ludovika Simanowitz (1759-1827), 1793.